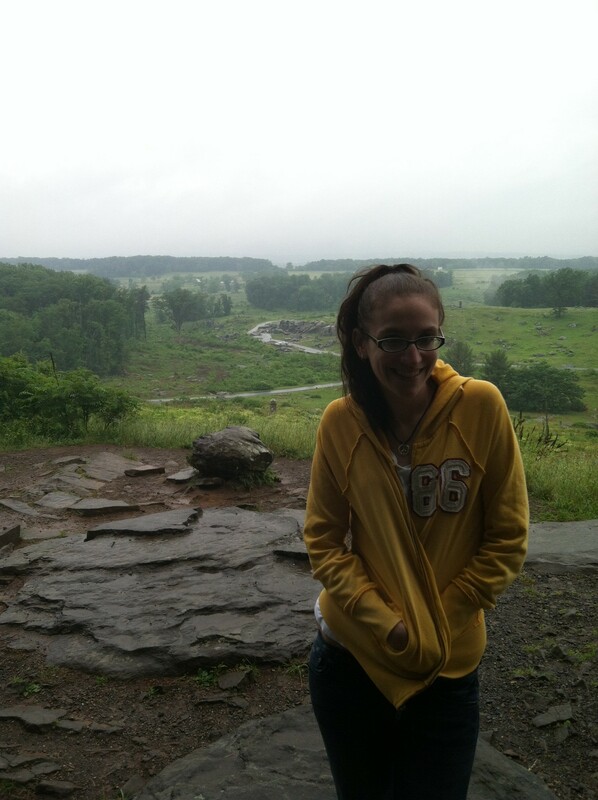 Gettysburg! Sunburn! Ticks! Many a splendored thing! Who has two thumbs and just celebrated her ten-year wedding anniversary! This gal! And what better place to celebrate ten years of wedding bliss than in Gettysburg? Admittedly, I wept when we left. I’m the Mother of Perpetual Guilt: but the boys! What will happen to the boys?! My mother seemed fine and nothing broke or caught on fire, so I’m assuming they had an uneventful weekend. The Rowdy Boys are a whirlwind of chaos. They got some new toys and ate a happy meal. Life was good. Meanwhile, monsoon season hit Gettysburg early this year. It rained for two days straight. Not that it stopped us. Nope, it takes more than rain/snow/pestilence to keep us off the battlefield. But look, from the greedy traveller that I am, I’m okay with traipsing through mud wrapped up in a bright yellow hoodie and flip-flops. That’s fine. Because I don’t like crowds and I don’t like waiting in line to get my picture taken with an artillery piece. The battlefield was deserted! In June! Glorious! This will not be happening when the 150th Anniversary rolls around in a few weeks. The look of terror is already flashing in the eyes of locals. Apparently, the Park Service is projected 30,000 people a day to visit the park over the anniversary week. I cannot–cannot–imagine that many people trying to navigate little narrow streets, the circle in the center of town, the six parking meters for on street parking on Steinwher Street. I’ll be walking everywhere. And if I’m not walking, chances are I’m slouched in the shade somewhere near Pitzer’s Woods. If you’re there, come say hi. I’ll be the one sweating in a hoop skirt. Anyway, anyway, so ten year anniversary bonanza! Look, we may have been married for ten years, but we’re just as cheap as we were when we were newlyweds. Did we pay $12.50 a person to go into the Visitor’s Center? No. We met at the old Visitor’s Center twelve years ago. Back then, it was free. Why are we going to pay twenty-five bucks to see things we’ve already seen–and saw for free? So, no, we browsed the bookstore (I was, however, able to rationalize buying a $32 t-shirt), used the bathrooms, and managed to find the one free tour offered at the Visitor’s Center. The Spangler Farm. 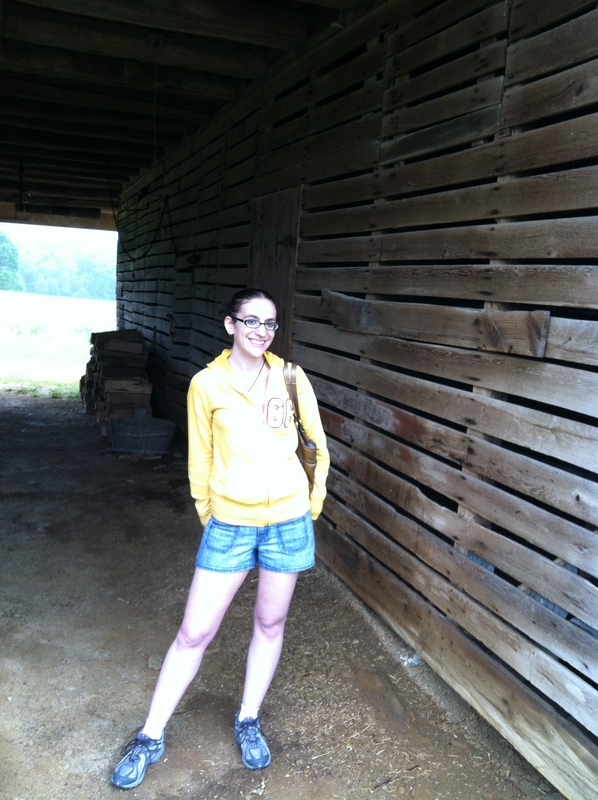 Apparently, the Spangler Farm was acquired by…someone…in 2008. It might have been the National Park Service. It might have been The Friends of Gettysburg, look, I’m tired and sunburned and don’t feel like finding the brochure. Just trust me. So, in 2008 *they* acquired The Spangler Farm which was the site of a hospital after the battle. General Francis Barlow, of Rambling Jour notoriety, was treated at The Spangler Farm. General Armistead died of his wounds in the summer kitchen. The site just opened for visitor’s two weeks ago and is currently free because, let’s be honest, there’s nothing to see but the outside of buildings. And, bonus, maybe the best medical living history I’ve ever seen. Fun fact: I was the only person on the tour, other than The Hubs, wearing shorts. Look at my blinding white legs! Don’t worry, they’re sunburned now. And pathetically, even in my somewhat sunburned state, The Hubs in all his Italian bronzeness, still makes me look pale and pasty comparatively. Oh, and interestingly enough, you may also notice I’m wearing legitimate shoes. I think it was some kind of effort to be less of…well, me and more of a…well, responsible hiker. Lord knows I spend most of my time wriggling around Gettysburg in flip-flops. I’ve never sustained a flip-flop related hiking injury at Gettysburg. But I got two blisters wearing sneakers! What is that about? I scaled Big Round Top in sneakers–blister! I hiked to the McPherson Barn which, up until the point I was actually standing next to it and wasn’t apprehended by law enforcement, I thought you couldn’t get close to–blister! I hiked what seemed like forty-five miles to the Pennsylvania Monument and back and then on to the National Cemetery in flip-flops–comfort and happiness. Go figure. I don’t pretend to understand. 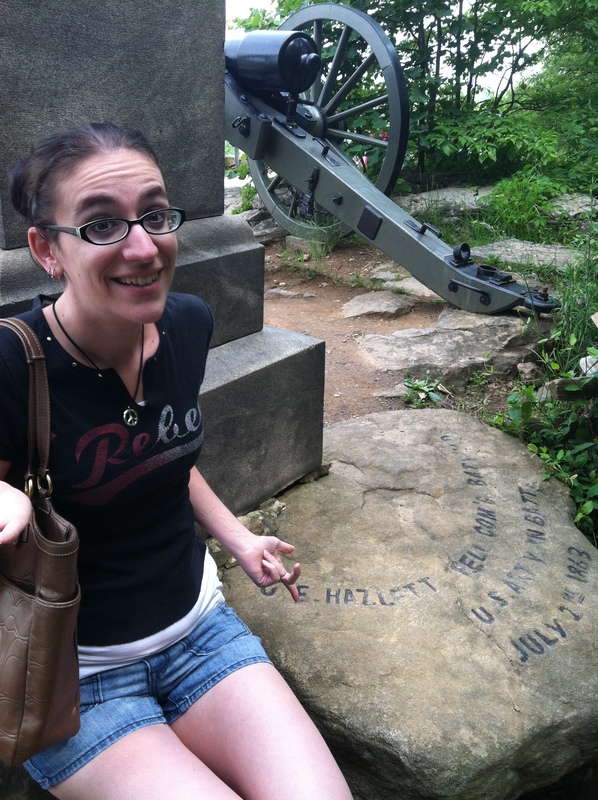 Flip flops, Gettysburg, and I have a mutual fondness for each other. We can’t be thrown off by the introduction of sensible footwear. And then I found a tick on my shoulder. Awesome! 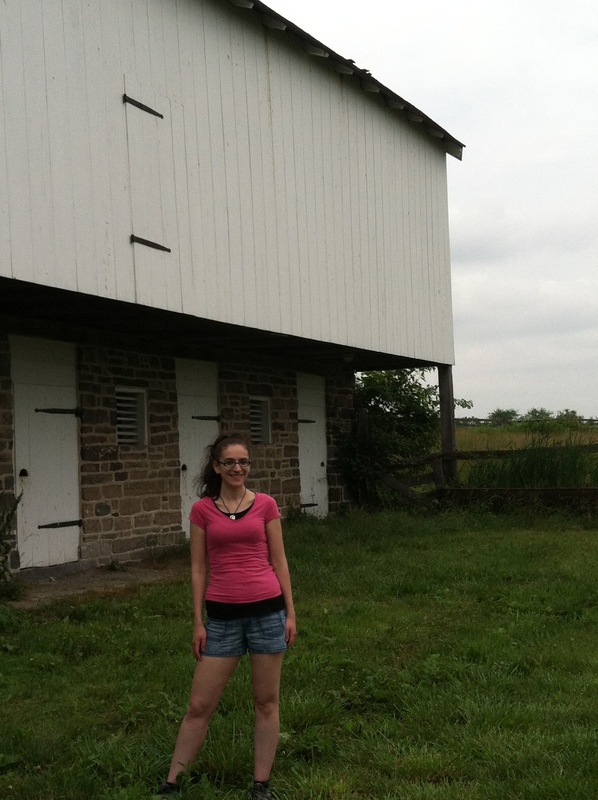 It was extremely cool to actually stand up next to the barn and, yes, it was as awesome as I’d always imagined it to be. 3. 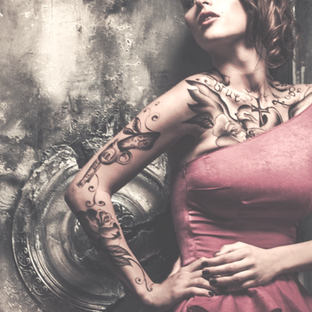 My muse’s name is Clio. She’s all about history. And thanks to her, I’ve got way more writing projects on my plate than is entirely necessary. More on that tomorrow. Oh, what the heck. For your enjoyment: But Hazlett’s dead! Ok, I am still fascinated by your fascination about Gettysburg. Previous life, do you think? I would say that for sure except I am now fascinated by Gettysburg. And I’m guessing there must be a LOT of people fascinated or there wouldn’t be 35,000 people attending the 150 year anniversary in a few weeks. Congratulations on your 10th anniversary! How cool is it that you and Hubbie share the same fascination for Gettysburg?! You are definitely well matched. Thanks!! I can’t explain the draw to Gettysburg. It’s this weird feeling, like we’re just meant to be there. Maybe it is a past life–that would be amazing! I tried past life regression once, but I didn’t come up with much. What I did manage seemed colonial related. The 150th is going to be insane. I think we’re a little insane for going! Thanks!! It’s a great place! I hope you do get a chance to visit! It’s one of those places that just inspires me to write. Unfortunately, now I have a full plate of ideas to pick from! Studying this info So i am happy to show that I have an incredibly good uncanny feeling I came upon just what I needed. I so much without a doubt will make certain to do not fail to remember this site and provides it a glance regularly. basis, this web site is in fact good and the visitors are really sharing good thoughts. por lo que ahora en este momento me también comentando en este lugar. Can I simply say what a relief to find someone who truly understands what they are talking about online.